We appreciate your feedback about your support experience with WooCommerce, developers of Stationery. This helps us maintain high standards on the WooMarketplace, and helps WooCommerce improve. Stationery is a Storefront child theme designed for stores selling office supplies and/or arts & crafts. The design has subtle tactile decorations while also being clean and elegant. 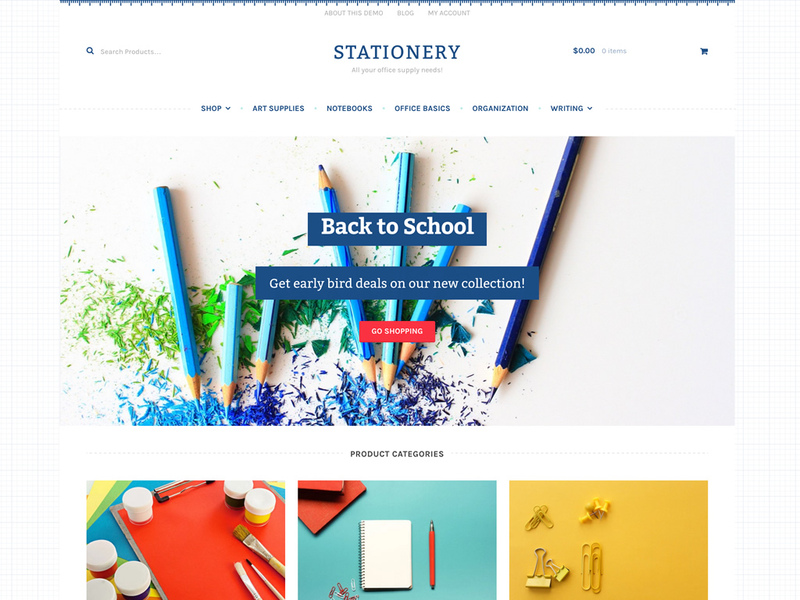 Stationery is a Storefront child theme designed for online stores selling office supplies, cards, and arts and crafts products. The design is clean and focused on converting visitors into customers while also being friendly and tactile. Stationery is built on the robust Storefront core parent theme that you know and love. Enjoy 100% compatibility with the latest version of WooCommerce and customer-facing WooCommerce extensions.